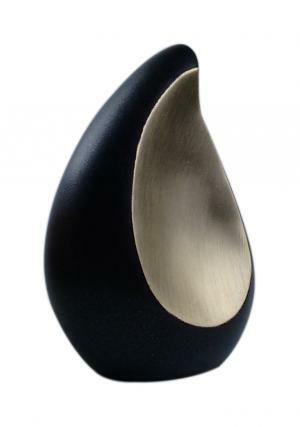 Teardrop keepsake urns are very reflective with the presence and take shape of tear similar to an oval shape curved on the top. 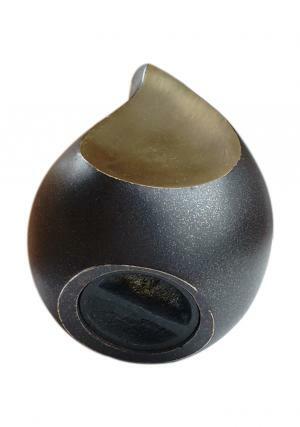 The Brown Truro Teardrop Keepsake Urn for ashes is a metallic urn made of quality brass metal with intrinsic engravings of hollow inner tear in gold and coated with shiny brown, as the combination of brown and gold are very rare which makes the teardrop keepsake urn more rich in presence as well as decorating ashes of the loved ones. 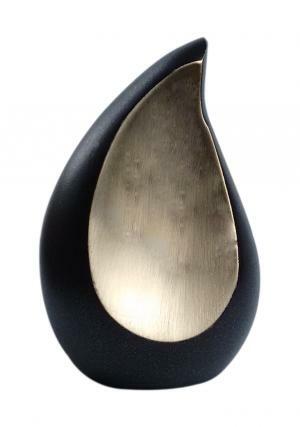 The keepsake teardrop urn is very simple and rich in presence with a secured screw threaded opening from the bottom flat base. The ashes are very secured ones placed inside the teardrop urn with the bottom lid tightened. 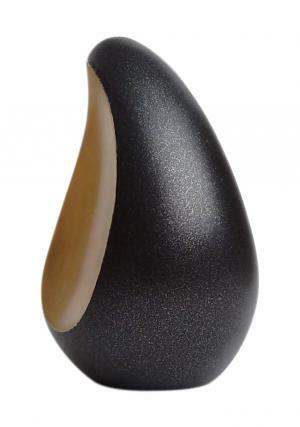 As the teardrop keepsake memorial urn measures to 3.14 inch tall (Height), width and length as 1.96 inch of which weighs 0.24 kg, capable of holding 5 cubic inches of special loved ones ashes.